Thank you for your interest in the Internal Medicine Residency Program, University of Tennessee Graduate School of Medicine at the University of Tennessee Medical Center at Knoxville. For the 2017-2018 interviewing season, we will be participating in the Electronic Residency Application Service (ERAS). We have formally agreed to not accept applications outside ERAS. Please do not mail applications to us through the postal system - we will not be able to process them. To apply to our program, simply visit ERAS and follow the directions. 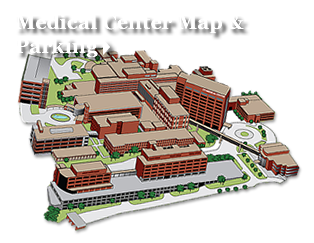 Our residency program is listed as "University of Tennessee Medical Center at Knoxville"and our accreditation ID is: 1404711409. The Educational Commission for Foreign Medical Graduates (ECFMG) has agreed to be the contact agency for all international medical graduates. They will assist you with any questions you may have regarding ERAs. If you are a foreign medical graduate, you will be required to go through them. We also participate in the National Resident Matching Program (NRMP) so we have agreed to only accept applicants who are participating in the NRMP. We do not offer positions outside the NRMP. We have 12 positions available for PGY-1 residents. We currently do not have any vacancies for 2nd & 3rd year residents. Currently, we have 7 out of 36 IMGs in our program. We require applicants be no more than 5 years following graduation from medical school. All scores, testing and certifications must be completed before an applicant will be considered for interview (we understand that graduation from medical school must take place before you can receive your ECFMG certificate). Please keep in mind that The University of Tennessee Graduate School of Medicine does not sponsor the H-1 VISA. We do currently have International Medical Graduates in our program (7) - all are either citizens of the U.S. or on a J-1 Visa. Sorry, but due to legal matters (patient confidentiality, malpractice, etc) The University of Tennessee Graduate School of Medicine does not allow observerships or externships. Please note that we do not deviate from these rules - we really do mean no more than 5 years following graduation from medical school, one full year of prior U.S. training and all tests must be passed on the first attempt. Again, thank you for your inquiry. We feel we have an excellent program to offer you! Deadline for receipt of applications will be December 1, 2017. "Cancer care is an important part of Internal Medicine residency training. The oncology rotation teaches not only the signs, symptoms, biomarkers, diagnostic tests, and treatment options, but also residents learn how to help patients through such a trying process. Sharing these experiences allow us to connect with patients on a far greater level than just the scientific aspect of medicine."